Can’t sleep? You aren’t alone: In 2011, Laval University researchers published a study of 2,000 Canadians that found 40 per cent of respondents had experienced one or more symptoms of insomnia – taking more than 30 minutes to fall asleep, waking up during the night for more than 30 minutes, or waking up 30 minutes earlier than they wanted to. A November 2016 report by the non-profit research organization RAND Europe calculated that Canada loses 80,000 working days, at a cost of $21.4-billion a year, due to lack of sleep. Sleeping too long can kill you, too: Typically, adults sleep anywhere from seven to nine hours. Getting too little certainly isn’t good for your health. 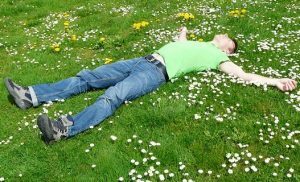 But repeated, larger-scale population studies by researchers in Norway and Taiwan found that sleeping more than eight hours was also linked to an increased risk of dying from certain kinds of heart disease, even adjusting for many other health factors. Those are big-data findings, but, individually, everyone has their own sleep sweet spot. It’s tricky to find it, though tracking your sleep patterns with a diary is a good step. Ideally, though, suggests Dr. Elliott Lee, a sleep specialist at the Royal Ottawa Hospital, you’d go on holiday for two weeks, turn off the alarm and go to sleep when you are tired and wake up naturally. Take the average, and that’s how much sleep your body naturally needs. If only we could get a prescription for that. Sleep isn’t gender-neutral: Historically, most sleep studies have been conducted on men, and it was assumed those results could simply be applied to women. That’s been proven wrong, says Lee. Women’s sleep is often negatively affected by pregnancy, menstrual cycles and menopause. Women report higher rates of insomnia than men, but, until menopause, are diagnosed with significantly lower rates of sleep apnea. Women also appear to be more sensitive than men to sleep deprivation. Although the research isn’t conclusive yet, Lee also suggests that treating sleep problems can help women struggling with infertility. As much as we want to stay in bed all day, we can’t. There are things to do and adult responsibilities to consider. If you’re feeling drained in the morning and you know you’ve slept at least 8 hours, there is probably something else at play with your lack of energy. Review your diet and daily exercise while you investigate the cause. Talk to your doctor and have your blood checked for iron levels and other medical possibilities. 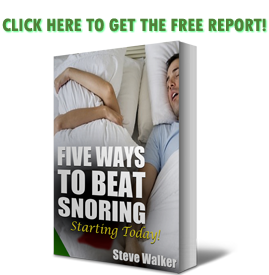 Consider a mouthpiece like the extremely popular Good Morning Snore Solution (https://snoringmouthpiecereview.org/good-morning-snore-solution). Don’t put yourself at risk for heart disease. You don’t want to be the new Rip Van Winkle. Remember, even though it took him awhile, he at least woke up.